There's nothing wrong with dreaming from time to time. Every teenager dreams of their parents buying them a brand new convertible sports car for their first car. Unless you're , even those with parents of means won't expect to get keys to a Ferrari (). With that in mind, here's a selection of cars we think most teenagers will be dreaming shows up on their drive when they wake up on the morning of their sixteenth birthday. The first car on this list is a RWD sports car, which sounds terrible for a teenager. However, you're teen will try to convince you that it is a Subaru, which is safe, and built with help from Toyota, which is reliable. They will also tell you that although the BRZ is a sports car, it is actually slower than many minivans so it is actually a good first car. Sure the BRZ isn't very fast, but that doesn't mean that your new driver won't figure out a way to spin it out or roll it over. With around 200 horsepower going to the rear wheels, the BRZ is more than capable of getting the tail out. Teens are inexperienced, so RWD is not ideal. 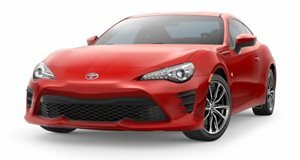 When your kids comes to you asking for a Subaru BRZ or its twin brother the Toyota 86, don't say yes! Like the Subaru, the Ford Fiesta ST has around 200 hp. However, unlike the BRZ, the Fiesta is FWD. This is definitely better, but you still shouldn't listen! While this car is a lot better than the BRZ for a teen, it still isn't a car that you should let them have. Your teen may argue that they won't be able to text and drive because the ST only comes with a manual transmission. Like the BRZ, 200 horsepower in a sporty car is enough to get your teen into trouble. The Fiesta is definitely a step in the right direction, but sorry kids, your parents still shouldn't bite! Some kids in high school are lucky enough to drive a brand new luxury car like a BMW or Audi. If you're one of those parents who is crazy enough to buy your kid a luxury car as their first vehicle, the Mercedes-Benz CLA might be on your radar. The CLA kicked off the entry-level luxury segment and still remains a strong seller. Although the CLA is the cheapest offering from Mercedes, it still costs $32,000. That is an insane amount of money to spend on a teenager who will most likely crash it. We never understood why anyone would but a car like this as a first car, but then again, we never had rich parents. This next car seems like a no brainer, yet parents still seem to buy it for their children. When you watch movies set in high school, you almost always see one of the cool kids driving around in a Jeep Wrangler. We get it, the Wrangler is cool, but it is a terrible car to buy for a teenager. It just looks like it was designed to roll over! We know that Jeep has made many improvements to stop this from happening, but teenagers don't exactly have the best reputation when it comes to rolling cars over. You can also remove the doors and roof from the Wrangler, so all those friends that are "too cool" to wear a seatbelt will fly out when the driver decides to zip around the corner. The Wrangler is cool, but is not a car for teens. The Volkwagen GTI is very dear to my heart. I actually drove a 2006 GLI in high school before it met its demise at the hands of another teenage driver. While the accident wasn't my fault, my beautiful GLI was toast. Yet thanks to the build quality I walked away unharmed. Where a brand-new GTI can cost over $30,000 with some nice options, my used GLI was less than half of that. There really is no reason why your teenager needs a GTI, a regular Golf will do fine and is just as safe. Look out for the follow up to this wish list, where we put forward our suggestions for cars that parents should seriously consider buying for their teenage kids.